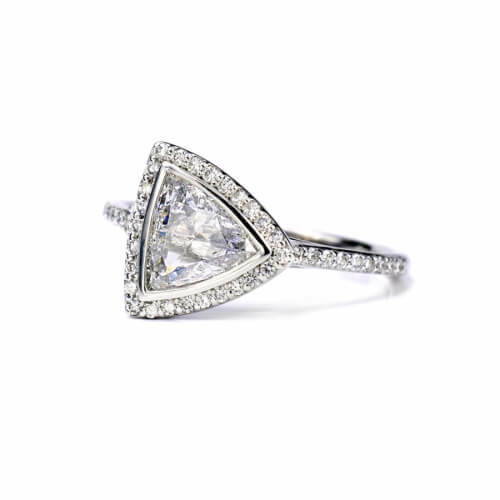 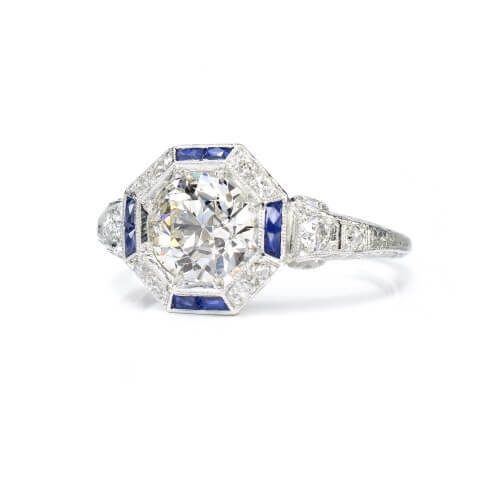 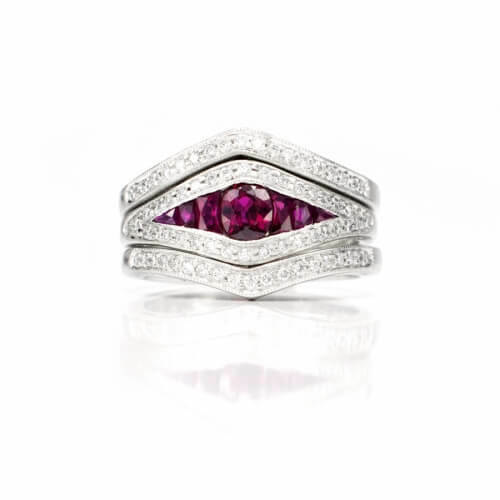 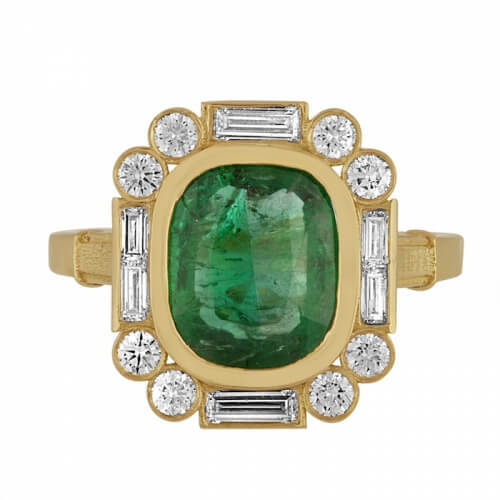 Downton Abbey is yours – or at least – this circa 1925 ring can be. 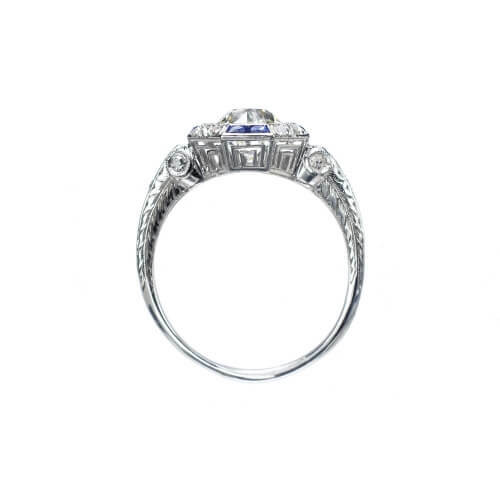 The old mine cut center diamond (1.25ct K-VS1) gets a hexagonal style from eight old mine cut diamonds (.25ctw) and eight calibre French cut sapphires (.15ctw) also mounted on top of the platinum setting. 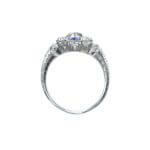 The open-worked gallery and engraved design measure 3/8”, front-to-back; this ring is size 6 ¾.